Is it “medically professional” for a non-profit organization to use physician testing fees to “choose wisely” a $2.3 million luxury condominium complete with a chauffeur-driven BMW 7-series town car? In my view, obviously not. To most people such an action would conjure up images of hypocrisy, waste, and corruption. So how did the ABIM Foundation accumulate all that money? Reviewing public tax records of the ABIM and its Foundation reveals a significant portion of the Foundation’s revenues came directly from the ABIM. Recall that ABIM receives 97% of its annual revenues from physician certification (62%) and re-certification fees (35%), with only 14% of these fees going toward physician examination development. In 2007 and 2008 alone, cash grants from the ABIM to its Foundation of $7 million and $6 million respectively were issued. The public records disclosed that $17,360,000 from the ABIM were made to its Foundation in the 7 years ending 6/30/2008. As a three-time participant in the ABIM certification process (candidate #127308), I can attest that to the best of my knowledge physicians were never made aware of this use of the testing fees they paid the ABIM. So why did the ABIM Foundation need all this cash from physicians? 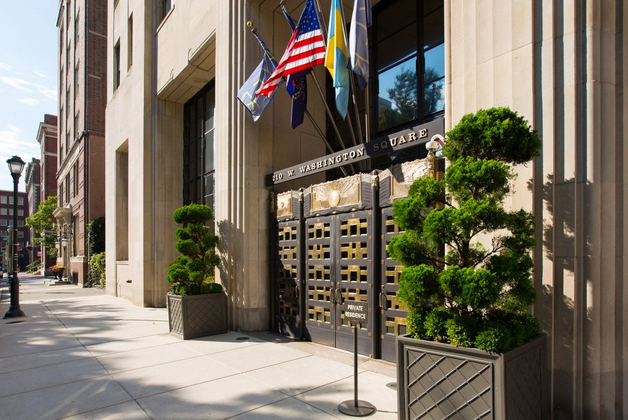 We can’t be certain, but the Foundation disclosed in their 2008 Form 990 that a portion of the money they received from the ABIM via physicians fees was used to purchase a 2,579 square foot 3-bedroom luxury condominium (Unit #11NW, in the “Ayer” Building, 210 W. Washington Square, Philadelphia) in December 2007 for $2.3 million. The luxury property borders Washington Square Park of the most historic areas of Philadelphia, across the street from the Tomb of the Unknown Revolutionary War Soldier and the Eternal Flame. The condominium building previously advertised a chauffeur driven Mercedes Benz S-series town car (more pictures here). Since then, the Foundation has reported “condominium expenses” totaling $850,340 from December 2007 through June 30, 2013 (FY 2008: $42,522, FY 2009: $164,460, FY 2010: 161,957, FY 2011: $165,982, FY 2012: $161,980, FY 2013: $153,439 (most of these reported as “program service expenses”)). In my view, these expenses were accrued while the ABIM appears to have been on an inherently unsustainable financial course from 2001 to 2012 with its net asset or fund balances on 6/30/2002 beginning with a negative balance of $10,762,954 and growing to a negative balance of $43,150,390 ending 6/30/2013. Meanwhile, over the same period its shadow organization, the ABIM Foundation fund balance was $73,841,719 on 6/30/2013. Reviewing the public record on when and where the ABIM Foundation was actually created discloses another discrepancy. We observe that the Foundation has recorded on their tax returns as being founded in 1999 with its “legal domicile” in Iowa, like the ABIM. However, a search for the organization in Iowa comes up empty, while a search in Pennsylvania Department of State (screen shot here) shows the Foundation was actually created in Pennsylvania in 1989. Which is correct? We should note that non-profits are not required to file financial statements with the state of Iowa, while Pennsylvania requires them. This raises uncomfortable questions. Is the Foundation’s Iowa domicile sheltering the sources and uses of its funds? Why does a non-profit promoting “medical professionalism” need to accumulate this much revenue? Is this how the Foundation demonstrates their “medical professionalism” to the public? To whom is the ABIM and Foundation “accountable?” Anyone? 1.Dr. Baron stated that the condominium was purchased as a “investment property” and part of the investment portfolio of the Foundation. He mentioned that real estate holdings were not uncommon with other similar non-profits. The condominium was used for several purposes, including housing ABIM personnel who resided out of state and returned to Philadelphia for meetings, by contractors (for instance, to house an IT team from India), and for off-site retreats and meetings with the Communications Group of the ABIM, for instance. He noted that when ABIM members use the Foundation’s condominium, the Foundation is paid $150/night from the ABIM (compared to the “usual” Philadelphia hotel rate of about $190/night) and there was cash flow to the Foundation from the ABIM for the use of their facility. 2.After revelations of the luxury condominium were disclosed at a 2 Dec 2014 Pennsylvania Medical Society town hall meeting, Dr. Baron mentioned in passing that the ABIM was putting the condominium up for sale. I asked Dr. Baron the name of the listing agent and the price. He stated he could not comment because “the paperwork was not in order” and the those details had not been finalized because they were advised that the real estate market would be better in the Spring. Regarding the 1989/1999 question – In 1999 ABIM Foundation became a separate operating foundation. 4.In closing, Dr. Baron expressed his willingness to be open to further questions. On the other side are the physicians buried in the work-a-day world of patient care, busy doing the best they can for their patients in our increasingly complicated health care system, working as “excellent sheep” as they do their difficult job and try not to rock the boat. While such a dichotomy is not unique to medicine (look to education, the public service sector, and politics, for instance), is ignoring this new reality useful to our profession? Might the unintended consequences of these unaccountable non-profit organizations and revolving-door employment practices with government and business interests be causing unimaginable harm to the integrity and credibility of our profession while simultaneously wasting valuable resources? It is a shame that most physicians, particularly younger doctors saddled with exorbitant training debt and concerns of job acquisition and job security, are not in a position to protest the actions of the ABIM and its sycophants, particularly since their ability to practice medicine is increasingly tied to these ABIM board certification and their new perpetual maintenance of certification payments. But this is the point, isn’t it? Regulatory capture. As these younger doctors gain experience and awaken to the realities of their new health care arena that is increasingly dominated by unaccountable organizations led by non-clinical members of our own profession, we risk creating cynicism in our ranks and physicians who must be more concerned with passing a test than providing direct patient care. Even worse, we risk promoting ourselves, career or cause over the complicated needs of our patients as the divide grows ever deeper. As a result, the brittle credibility and hard-earned trust with our patients is squandered beyond repair. In my opinion, this is what we risk when we have corruption within. I can only hope that practicing US physicians and the public will demand a full accounting of the ABIM and their Foundation’s entire financial dealings and non-transparent co-mingling of funds. I hope that Congress decides to investigate the ABIM’s role in including their MOC program as a physician quality reporting measure in the Affordable Care Act (see pages 365 and 963) to determine its legitimacy in light of these findings. Furthermore, an investigation into possible violations of federal policy on the protection of human subjects (in this case practicing physicians involved in direct patient care) regarding the American Board of Medical Specialties’ requirement for practice and patient survey collection for Part IV of their trademarked Maintenance of Certification® program that the ABIM helps conduct should occur, especially in light of lack of informed consent afforded to physicians regarding how the fees and data they collect are used. It is time we hold the non-clinical members of our own profession that lead these organizations accountable to all physicians and the public at large. Until this occurs, physician-members of every ABIM subspecialty organization that profits from educational content provided to the ABIM should divest themselves and work to create their own, more credible, simplified and transparent life-long learning pathways. The American Association of Clinical Endocrinologists has already set a good example. While I understand that refusing to buck the coercion created by the multimillion dollar ABIM and its Foundation will be difficult, our credibility as stewards of our patients’ best interests and the preservation of the integrity of our profession demands nothing less. I am indebted to Charles P. Kroll, CPA for his invaluable assistance collecting tax records of the ABIM and ABIM Foundation before 2007 and assisting in the understanding of the nuances of not-for-profit accounting methods. Mr. Kroll provided forensic accounting analysis to the Minnesota attorney general’s office during the Medica-Allina scandal and testified at the Minnesota Senate hearing on the matter. IT’S hard to believe that another 10 years have passed, but the proof is the 11-volume stack of medical review books at my bedside. It’s time for the decennial rite of cramming a thousand pages of facts for an eight-hour-long multiple choice test. Doctors are licensed by their states to practice medicine, but they’re also expected to be “board-certified” in their particular field — surgery, obstetrics, pediatrics, etc. This certification comes from the professional organization of each field. In my case, it’s the American Board of Internal Medicine. It used to be that you tackled those monstrous board exams just once after residency. Then you went into practice and never looked at a No. 2 pencil again. But in 1990, the boards decided that doctors should recertify every 10 years. This seemed reasonable, given how much medicine changes. Over time, though, the recertification process has become its own industry. The exam has been supplemented with a growing number of maintenance-of-certification, or M.O.C., requirements. Some are knowledge-based exercises, but many are “practice assessments” meant to improve care in your own practice that end up being just onerous paperwork. And the recertification process and associated materials cost doctors thousands of dollars. This year the internal medicine board announced that doctors who didn’t participate would be publicly tagged as “not meeting M.O.C. requirements.” Many jobs require board-certification, so a number of doctors felt that this tactic amounted to extortion. More than 19,000 signed a petition in protest. They complained that the specialty boards are monopolies that control who can practice medicine and use this power to compel compliance and exorbitant fees. Worse, they argued that the recertification process might not even be effective. It may seem obvious that continuing education would benefit doctors and patients, but in medicine we’ve often learned the hard way that things that seem intuitive (think estrogen replacement therapy) may turn out to have little benefit or to even be harmful. Two recent studies in The Journal of the American Medical Association are the first to seriously evaluate the role of M.O.C. in physician quality and medical costs. They compared doctors certified just before the 1990 change (who were grandfathered in for life and not required to recertify) and their colleagues who certified just after 1990. One study looked at costs and the other at quality (as measured by patients’ glucose levels, blood pressure, colon cancer screening rates and the use of medication for heart disease). The studies differed in methodology but the upshot was that patients’ medical outcomes were no better and overall costs were only marginally lower in the recertifying group (2.5 percent). All that effort, in other words, didn’t seem to make doctors better. Many doctors are rallying around these findings to call for a wholesale dismantling of the recertification system. But others are using the data to ask how recertification can be made meaningful. Just because these studies didn’t show an effect doesn’t mean one doesn’t exist. Recertification may benefit certain subsets of patients, such as those with less common illnesses who aren’t numerous enough to influence study results. Some parts of the recertification process are useful. The practice questions in the review books, for example, exercise muscles we don’t use every day. They re-emphasize important points, remind us about conditions that we see less often and, best of all, are open-book, much like real life. When there is a complex patient in clinical practice, no doctor relies just on memory; we look up the information, check a journal or consult a colleague. To rely solely on memory, especially for rarer illnesses or complicated patients, would be malpractice. Which is why the huge exam that culminates each decade of recertification should be abolished. Memorizing reams of information to be regurgitated in a “secure testing center” is a waste of time and resources, and does not reflect how medicine is practiced. Most doctors agree with having some sort of process that updates and refreshes medical knowledge. But the process has become unmanageable. 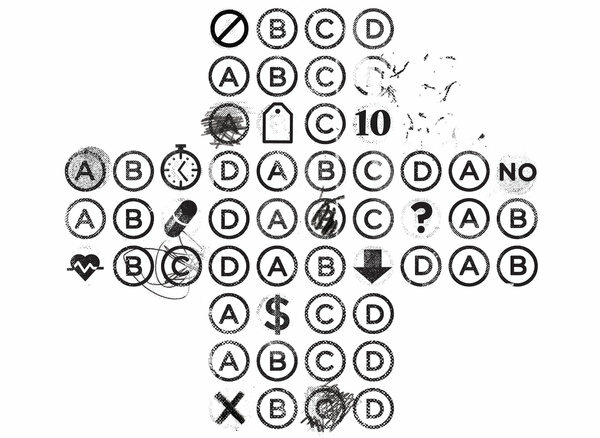 Let’s strip away the archaic exam and the paperwork-heavy practice assessments. A periodic, modest-size, open-book test that incorporates relevant knowledge and updates would be more reasonable. There is much more to the science, art and practice of medicine than medical knowledge. But it is the one aspect we can easily assess on a profession-wide scale. Open-book, self-paced tests are the best way to keep knowledge current. The act of searching for answers — whether from journals, textbooks, databases or colleagues — is itself the knowledge. All the rest is busy work and red tape.